A year after the Westminster attack in London, the Islamic State, also known as ISIS or ISIL, has been dislodged from the majority of the territory it controlled. But the threat posed by ISIS and other groups across Africa, the Middle East and Southeast Asia persists. International cooperation has been the key to successes in countering terrorism, both recently and over the last 20 years, but as collective security comes under threat and terrorism morphs yet again, what should the new priorities be? One lesson common to all theatres, even the most kinetic, is that the response to an immediate threat must promote a long-term solution. Sharp blows delivered against tactical targets have no value unless they are integrated into a broad and deep approach tackling the origins of the threat. Lessons learned in the military dislodgement of terrorists holding cities in Syria and the southern Philippines, as well as those learned combating isolated attacks in European capitals and Indonesia, have reinforced the necessity of involving local communities, and all the government authorities that serve them, in combating terror. In gathering intelligence, in de-radicalising and rehabilitating potential terrorists, in containing racism and potentially catastrophic hate crimes after an event, the role of communities and local authorities has proved crucial. The role of the state has become about enabling the community as the front line, as much as about getting between them and the terrorists. Reflecting this doctrine, United Kingdom Home Secretary Sajid Javid announced a significant shift in the rebalancing of efforts by making information held hitherto by the security agencies disclosable to local authorities. But the challenge of implementing this ‘community first’ doctrine is to find the resources and expertise to turn intelligence into results. That will require sensitive rebalancing within counter-terrorism and defence budgets, and national resources. The corrosive effect of digitally disseminated material has manifested in the phenomenon of terrorists who are not returnees from theatres of war but are inspired purely by the imagery and literature they have consumed. These are members of an ‘imagined Caliphate’, motivated by a fictive reality to the point of committing suicidal atrocities. The need to combat fake news and propaganda is now felt as an operational priority for politicians, especially in counter-terrorism and counter-radicalisation efforts. But the solution does not lie entirely with governments. In a clear sign of growing awareness of their responsibility, some social media companies are setting up counter-terrorism teams. Important and difficult as it is to work through agreements on data exploitation between jurisdictions, any meaningful new coalition against digital terrorism will have to include the technology companies. The combination of returning fighters with high-end combat experience – including, in particular, the manufacturing and use of improvised explosive devices – and those radicalised remotely gives an indication of the scale of the counter-terrorism challenge. The lesson has been that cumulative and sustained efforts are more effective than radical and dramatic moves: from improving legislation on returnees to facilitating cross-border cooperation, addressing social vulnerabilities to investing in education, and above all pursuing patient investigative operations. 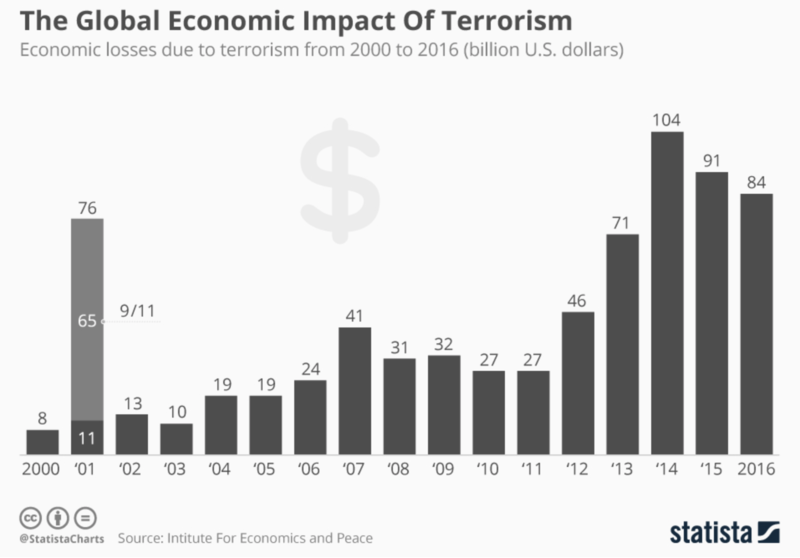 International terrorism shows no signs of abating. The ideologies and expertise that feed it are, if anything, growing, and the vulnerabilities of an open society that terrorism has exploited are rightfully being preserved (in the main) not reduced. The international community has successfully modulated its approach, albeit imperfectly and sometimes belatedly, to deal with successive iterations of the threat over the last 50 years. The level of international cooperation has changed from ad hoc, crisis-orientated responses between affected nations towards building standing structures intended to be durable and insulated from politics. The Indonesian Minister of Defense Ryamizard Ryacudu launched the ‘Our Eyes’ initiative in January this year in a clear attempt to emulate the successes of formal enduring intelligence relationships elsewhere. Indonesia and the Association of Southeast Asian Nations (ASEAN) members also agreed on the development from maritime to air domains of a tri-nation patrol in the Sulu Sea region. And as some of the political givens of the last decade come into question, it does not follow that security cooperation will decay. One crucial test will be whether intelligence cooperation and data sharing can be insulated from the structures and politics of the European Union during the Brexit negotiations. Recent statements from the UK and the EU suggest that this is not going to be straightforward. Apart from the damage a failure to preserve UK–EU cooperation would do to European security, it would be a dismaying signal to the rest of the world especially those countries whom European security services have worked hard to convince of the merits of cooperation independent of politics. Even where structures are in place, the hard work may still lie ahead. For example, the practical challenges of ensuring a strategic edge over constantly evolving threats, not least through innovative technology, and the difficult calls to be made between supporting national and international efforts. But for long-term success, partners will have to underpin exchanges and joint operations with collective commitment to standards and durability of effort in place of transactional expectations and narrow national priorities. As the terrorists have collapsed borders, so too the response needs to transcend geography and politics. This is additionally challenging at a time of rising protectionism in trade and nationalism in politics. Security cooperation is a horse that cannot be traded in negotiations between states however tempting given its high value. Closed ranks matter. Suspensions and interruptions to multilateral efforts allow gaps that terrorists will exploit, as we have seen in airline security and legal systems. As German Minister of Defence Ursula von der Leyen put it recently, ‘it takes a network to fight a network’. There are still significant international outliers, too. China and Russia, and to an extent India, are the three big players not yet integrated into the multilateral effort. Deep differences remain, for example, between the values at play in Russian and Chinese approaches to terrorism, and that of European agencies. A recurring theme at this year’s IISS Shangri-La Dialogue, attended by defence ministers from 26 countries, were the calls to uphold the rules-based order. And the last 20 years have shown that nowhere is this more important than in the fight against the terrorists who seek to undermine it. There are clear statements from many ASEAN countries that the most serious threat the region faces is now terrorism, not because it is potentially the source of greatest harm to life and property, but because it is a threat that comes from within, and destroys from within, communities and states. The challenge of ensuring that Muslim communities are not destabilised by terrorists and are denied the economic opportunities of the region more than justify continued commitment over the next five decades. 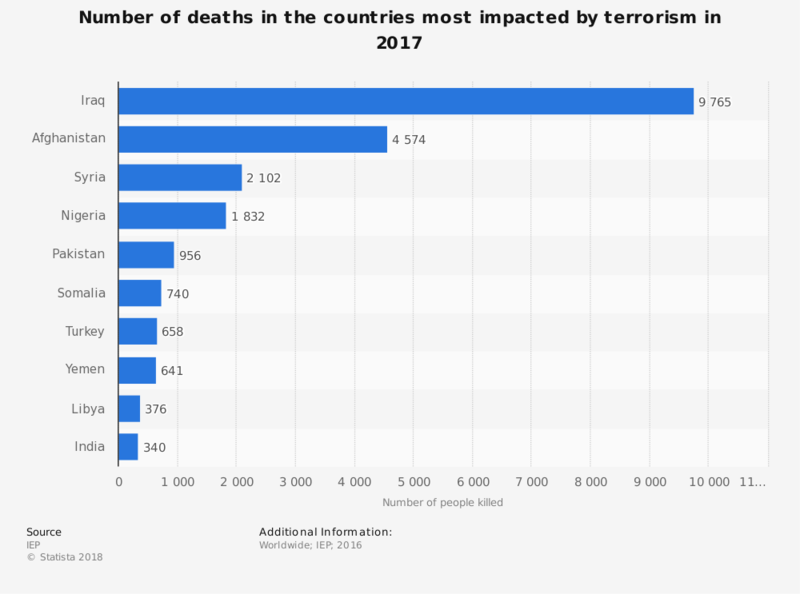 For the international effort against terrorism to prosper, two things will need not to happen: a United States pullback, and states in the Middle East and Indo-Pacific being selective about the terrorists they fight or, worse, sponsoring terrorists as strategic weapons. On the first, US Secretary of Defense James Mattis gave a sturdy commitment, ‘through partnerships not dependence’, to the security and rule of law within the Indo-Pacific region. US commitments elsewhere are holding up. On the second, sponsorship of or condoning select terrorist groups will be deeply damaging to collective efforts. Terrorists should not be ‘hefted’ to regions or struggles. The lesson of the terrorist diaspora of the last 20 years has been that skills acquired in one theatre will proliferate in others if not physically then digitally. Mindanao, Raqqa and the capitals of Europe are a single battle space for the Islamic State, as they should be for those who fight terrorism.